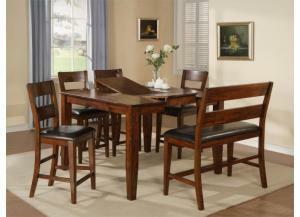 Includes pub table, 4 bar stools and a bench. 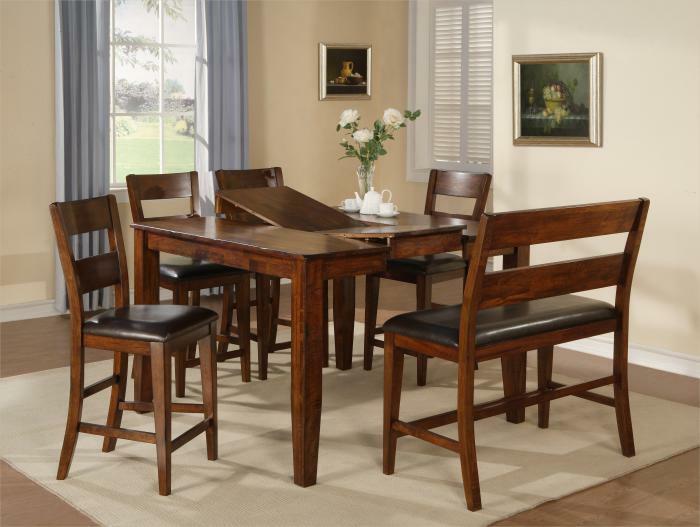 Bring both sophistication and modernity to your home by adding this exquisitely crafted dining room set. The flat edges, square angles and tapered legs incorporated with this table, chairs and bench contribute to the simplistic eloquence that truly brings out the natural beauty of the solid mango woodwork. Light cherry finish and black upholstered seats only serves to accentuate the woodwork further. A 18 inch leaf extends the table length to 54 inches.